Can You Get a Military Transport Contract? A lot of owner-operators need help finding suitable contracts to work on. However, there is one employer who is always eager to cooperate – the federal government. The government doesn’t have its own fleet of trucks or permanent employees but rather hires freelancers and companies to transports whatever it needs. 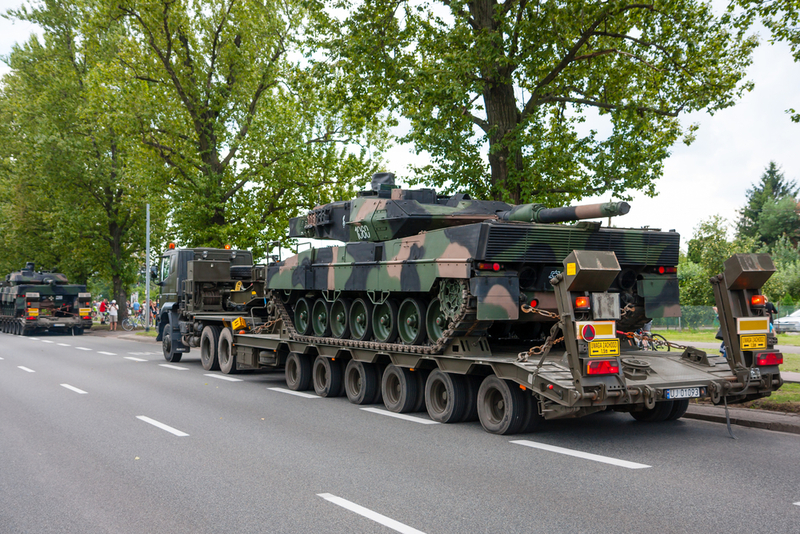 In the same vein, the US military also needs things transported across the US. Each year, they issue an open season for freight providers to find employment with them. Even though the call lasts from January to February, it pays to learn a bit about it now, so that you can have enough time to think about the opportunity and potentially prepare yourself and your vehicle for the job. If you need to update or purchase a truck first, you can find a lot of help here http://gotruckcapital.com/trucks/finance-a-truck/. How Can You Work with the Department of Defense? There are two ways you can become a partner of the Department of Defense as a transporter. The first one is a lot easier and it involves using a registered broker. In that case, the broker takes a part of the earnings from you, but it significantly simplifies the process. However, if you don’t want to have an intermediary between yourself and the employer, you can apply for the SDDC’s partnership program. It requires you to obtain certain documents and proofs, but once you gain this permit, it will become easy and convenient for you to work with the US Army. First of all, you need to be a registered transporter with the Department of Transportation for at least three years, otherwise, you will not even be considered for this program. Furthermore, your career as a freight operator needs to have been unbroken during those three years. If you qualify for these two primary requirements, you can apply for this program. You will be asked to provide the following documentation. Every freight operator needs to have a SCAC number assigned by the National Motor Freight Traffic Association. SCAC stands for Standard Carrier Alpha Code. The format of the SCAC is a 2-4 letter code (the first letter is the starting letter of your business’s name) and it will be used to refer to you when dealing with the US Army and the Department of Defense. The US Bank needs to issue you an electronic account where your transactions when dealing with the SDDC will be paid. The SDDC has an exclusive contract with the U.S. Bank, so you will need to open an account there. Apart from the bank account, you will also need to have a Syncada certificate as well. Syncada used to be called PowerTrack, so if that confuses you, it is the same thing. It will enable you to manage your invoices and payments more easily. If you have done everything the right way, you can apply to the SDDC for a permit. However, even if you are approved by the SDDC, you are still not quite done. The DoD requires all freight operators it employs to have a special DoD performance bond. It is a way for the DoD to protect itself in case of freight operator bankruptcy or other unforeseen events. This bond is not cheap, however. It costs $25,000 for a single state, whereas you need to pay $50,000 to work in up to 5 states. IF you want to be certified for the entire country, the bond will cost you a whopping $100,000. You can get some discounts if you are registered with the Small Business Administration. As you can see, the process for applying to work with the DoD is long and complicated, so if you want to pursue this line of work, you should start preparing now.